Home / Marijuana Books / Smoking Marijuana While Pregnant: How bad could it be? Smoking Marijuana While Pregnant: How bad could it be? Marijuana consumption by pregnant mothers has been increasing at an alarming pace. 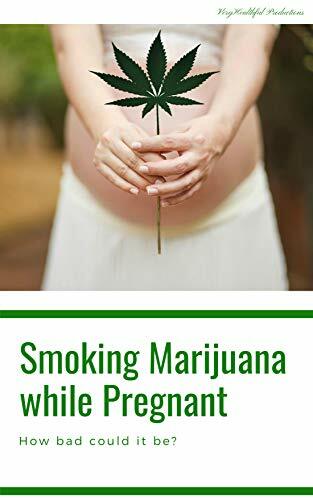 If you are pregnant and smoke marijuana or have used it in the past, then this book will clear the doubts you are having. In brief, the following topics will be discussed. 1. Why has marijuana use increased among expecting mothers?2. Studies and experiments done on the effects of marijuana consumption while pregnant?3. What does it mean for you if you have smoked, vaped or used edible varieties of marijuana in the past?4. How can marijuana affect your fetus during pregnancy?5. Are there any lasting effects that could affect your child after being born?6. How to quit marijuana for your pregnancy?7. Benefits of quitting?8. Small bits of author’s own marijuana usage. Learn more about this free Kindle book: Smoking Marijuana While Pregnant: How bad could it be?